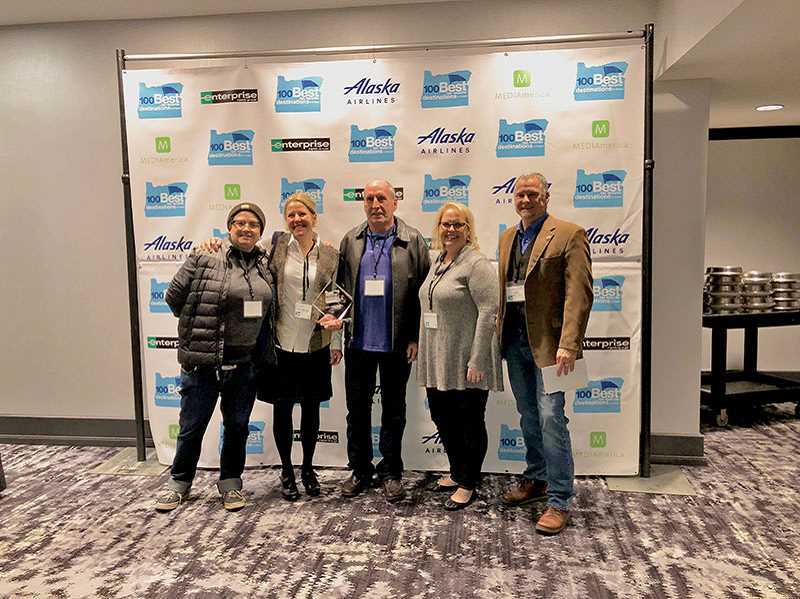 Local flower farm Swan Island Dahlias was honored by "Oregon Business" as one of the top attractions in the state at a luncheon in December. The media firm researches the top 100 attractions in Oregon each year based on customer feedback from online reviews, and Swan Island Dahlias came in at the fourth most popular attraction in the entire state. Farm owner Nicholas Gitts and his daughter and manager Heather Schloe were on hand to accept the award. Swan Island Dahlias has been in business for 91 years and has been operated by the same family in that time. They are the largest providers of dahlias in the world and breed new varieties of the colorful blooms each year. Other area attractions that came in on the list were Happy Rock Coffee in Gladstone at 15, Timberline Lodge and Ski Area at 54 and St. Josef's Winery at 68.